It is a place where history was made when the daughter of King Kelanitissa, the ruler of the Kelaniya kingdom married the King of Rohana, King Kavantissa, which unified the southern parts of Sri Lanka in the Second Century BC. 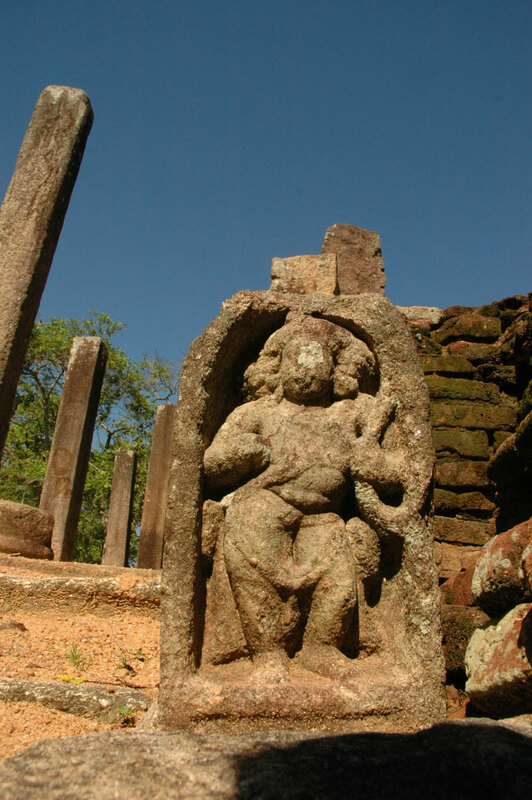 Built to celebrate this union which was to change the face of Sri Lankan history forever, Magul Maha Viharaya hosts many characteristics not found in many a temple. Situated in Lahugala, amidst an elephant infested forest reserve of Lahugala Kithulana, Magul Maha Viharaya carries the look of a lost city hidden amidst the towering trees of the jungle. The 200-acre archaeological site scattered with temple complexes and granaries sets it apart from any other temple and had been the home to 12,000 arahants some 2000 years ago. It also had been designed to serve the purpose of a monastery and a fortress where food, weapons and animals were kept in preparation for the Dutugemunu-Elara war fought against an invading Tamil King from South India. The temple complex itself consists of three courtyards, exterior, interior and centre. The outer yard comprises a heavy stone wall with seven ponds which provided water to the temple. The interior was house to the bhikshus who inhabited the temple, while the central courtyard comprises of the main interests of the temple. A image house with an unusual sandakadapahana where the mahout accompanies the elephant and a bodhi-ghara, which was originally the poruwa of Princess Vihara mahaDevi and King Kavantissa, are the main attractions of the central courtyard. The central courtyard or the vihara maluwa also comprises a vihara geya, with a statue of the Buddha sculptured in moonstones, and a dagoba withered by the tests of time and weather. The side entrances to the Vihara Maluwa stand upright while the main entrance is a pile of ruins today. Despite its aura of romance and bravado, the story linking the temple to Princess Devi and King Kavantissa is yet to be proved by archaeological evidence. 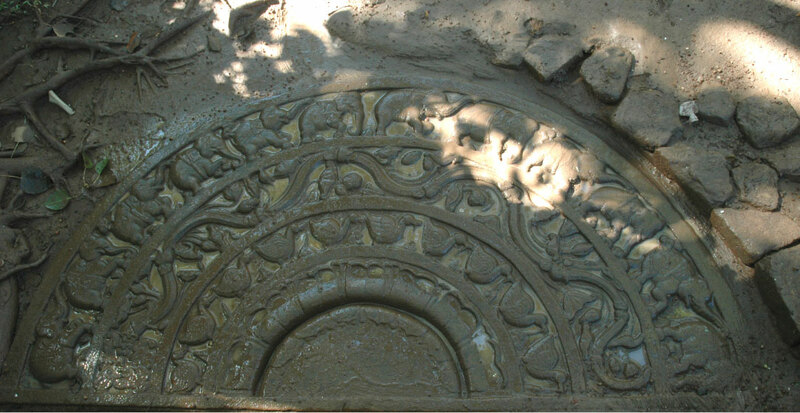 The oldest archaeological evidence found in the form of a stone inscription states that the temple was constructed by King Datusena and was renovated by a second Vihara Maha Devi, the wife of Buwanakabahu 4 and again by King Parakramabahu 5 during the 14th century. How to get there: Take the right turn towards Lahugala village, near the Lahugala Divisional Secretariate Office on the Siyambalanuwa to Pothuvil road.